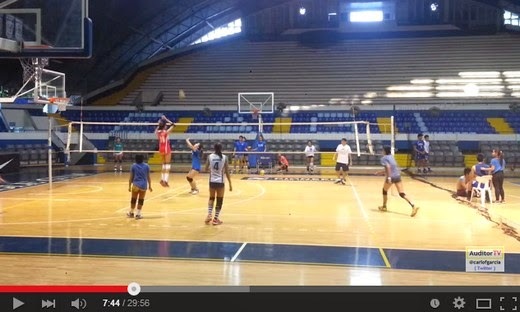 Jia Morado Setting The Ball to Jaja Santiago During U-23 Philippine Volleyball Team Practice: Video Here! YouTube Scoop: This is the raw video of the Philippine Under-23 Women's Volleyball Team that will compete in the Asian Tournament slated this coming May 2015 in the Philippines. Here's Jia Morado of the Ateneo Lady Eagles building chemistry with their middle blocker from NU Jaja Santiago in their training at the Blue Eagle Gym in Katipunan.